Turning conventional views on their heads, talent and leadership experts Ram Charan, Dominic Barton and Dennis Carey provide leaders with a new and different playbook for acquiring, managing and deploying talent - for today's agile, digital, analytical, technologically-driven strategic environment - and for creating the HR function that business needs. Filled with examples of forward-thinking companies that have adopted radical new approaches to talent, Talent Wins shows leaders how to elevate HR to the same level as finance in their organizations. Talent management, or the management of a company’s human capital, has traditionally been delineated with multilevel organization charts that assign levels of authority with lines of responsibility. 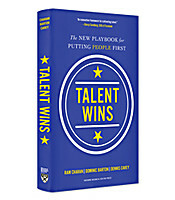 In their new book, Talent Wins: The New Playbook for Putting People First, Ram Charan (the world-renowned business consultant), Dominic Barton (Global Managing Partner of McKinsey and Co.) and Dennis Carey (Vice Chairman of Korn Ferry) argue that such an approach should be left back in the 20th century. HR processes and development plans that assume predictable environments for years ahead now have the potential to seriously undermine the future growth of an organization. To survive in today’s “agile, digital, analytical, technologically driven strategic environment,” the authors argue, requires a completely different playbook. The acquisition, management and deployment of human capital must be approached with the same rigor as is the management of financial capital. Forge the tools of transformation in three steps: First, build a core executive group — the “G3” — of the CEO, CFO and a CHRO. Second, identify the “critical 2 percent” of your talent in the organization (who may not necessarily be your top-tier people). 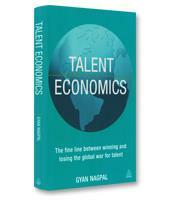 Third, invest in the best “talent technology” (software-applications examples are provided). Design and redesign the work of the organization to “create a more horizontal, flexible structure that connects and multiplies talent.” Talent-first organizations have no room for fiefdoms or power-grabs. The focus is on agility and meaning. Reinvent HR. This involves more than just giving HR “a seat at the table.” Managing human capital as effectively as financial capital demands a CHRO “who is as committed, talented and empowered as the CFO.” If HR is to be the new creator of value, the traditional administrative tasks must be automated or outsourced. Scale up individual talent. Skill obsolescence is a nerve-racking reality for employees and executives alike. Talent development must be more reflective of the individual needs of the employee to maximize value creation, rather than following training roadmaps for established boxes on the organization chart. Create an M&A strategy for talent. Pursue new talent with the same efficacy with which you would pursue a potential business acquisition. 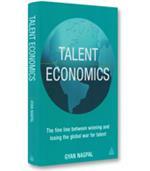 Talent Wins conveys a clear message with an admirable sense of urgency. Utilizing an impressive range of case examples from such forward-thinking companies as Amgen, ING, Tata Communications and Volvo, the authors present a practical and pragmatic map for managing human capital with the same rigor as that used for the management of financial capital.